Omega Morgan used three heavy-haul Kenworth trucks. A Kenworth C500 was the lead (pull) truck, while two Kenworth T800 heavy haulers were the pushers. Hillsboro, Ore.–based Omega Morgan specializes in heavy rigging and transportation, among other services. The company recently hauled one of the heaviest combination loads in Washington state history, weighing in at nearly one million lbs. 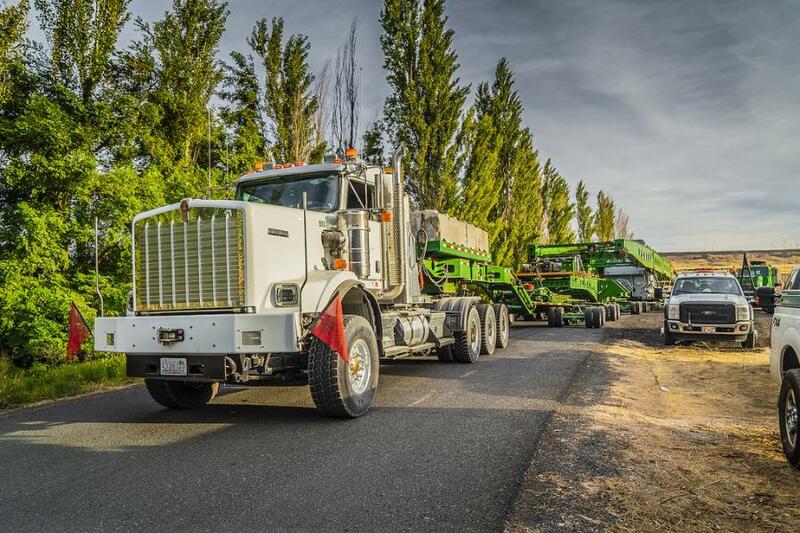 Washington state issues between 600 to 700 "superload" permits a year – meaning the combined weight of a tractor and trailer exceeds 200,000 lbs. Omega Morgan transported a 460,000-lb. transformer, combined with a massive 360-ft. trailer with 48 axles weighing 484,000 lbs., which could be labeled as a new permit category. The 47-mi. 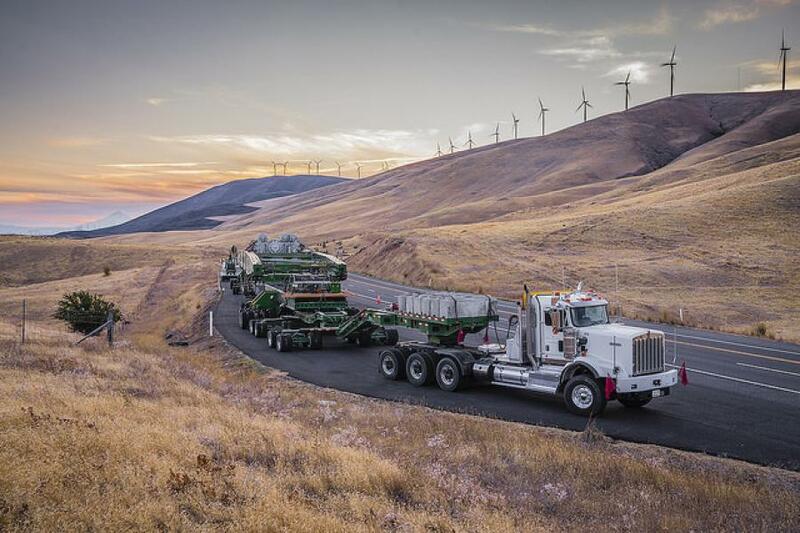 haul through Washington's Klickitat County, started in Sundale, Wash., in late September, and ended at the Bonneville Power Administration (BPA) Rock Creek substation two days later. 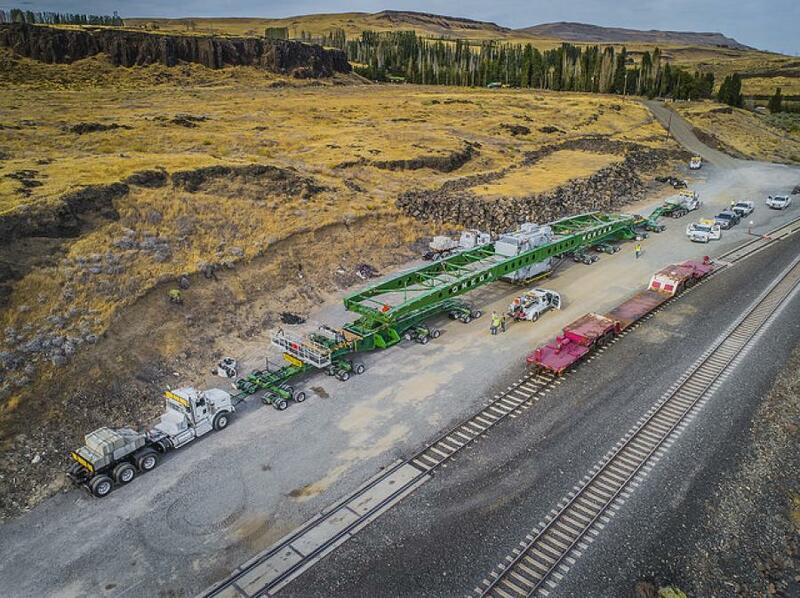 To accomplish the move, Omega Morgan used three heavy-haul Kenworth trucks. A Kenworth C500 was the lead (pull) truck, while two Kenworth T800 heavy haulers were the pushers. "Kenworth makes the best heavy-haul trucks, in my opinion," said Troy Tallent, vice president of operations at Omega Morgan. "They're incredibly strong, built to last, and engineered for extreme duty. There is no such thing as calling in a tow truck if something fails. We do all of our own service. It's vital to have equipment that you are confident in and will get the job done day-in-day-out. It's why all our heavy haul trucks are Kenworths." After Omega Morgan received a contract to haul transformers with BPA, the company built its 360-ft. trailer and bought the Kenworth C500, specifically for use with the trailer, from Papé Kenworth Northwest – Lakewood. For its C500, Omega Morgan selected a 550-horsepower engine, an Allison 4700 RDS seven-speed automatic transmission, and a four-speed air shift auxiliary transmission. The truck also has Sisu planetary tridem axles — rated at 105,000 lbs. with cross locks and a 7.01 ratio, and a 22,000-lb. front axle with 24,000-lb. front slipper springs. The C500 was built on a strong foundation – a triple rail steel frame providing a 200,000-lb. gross combination weight (GCW) chassis rating. "Rick Barry and the guys over at Papé Kenworth Northwest were, and continue to be, a big help to us," said Tallent. "They got us set up with the specifications we needed to get any job done." The BPA transformer project took months to plan, schedule and coordinate with state officials and private groups to ensure a logistically friendly route, without damaging roads. "For this transport, there were quite a few obstacles we had to plan for, not to mention two-lane roads that had to be closed," said Tallent. "For instance, we had to widen the gravel road from 16 ft. to 20, and reduce the grade by the rail head (where the transformer was lifted off the railcar and placed in the trailer-cradle) from 16 percent to 15 percent." To ensure Omega Morgan had enough traction to make it up the grade, the company added a fourth heavy hauler, loaded with concrete blocks that was tethered to the Kenworth C500. "We had plenty of horsepower with our three Kenworths, but needed added traction to pull all that weight up the 15 percent grade on gravel," said Tallent. Two Kenworths were positioned in the back, connected through a 10-ft. A-frame to generate power, while the C500 and other heavy-hauler were connected through a steel cable to help pull and direct the trailer. Once on the road, it was back to the three Kenworths. The move had its share of challenges. "When going up steep grades, our drivers are zeroed in on their truck's boost meters, talking back-and-forth on how much throttle they needed to give," said Tallent. "Going down hills, the drivers used their engines – along with the trailer brakes – to slow down." Bridges and tight turns also came into play. "We also had to go over three bridges, so we had to use hydraulic dollies to help spread the load," said Tallent. "On top of that, we had to make a few larger than 90 degree turns. For that, we slowed to walking speed and had our two tillers, who steered the trailer, work with our Kenworth drivers, so the trailers could turn in tandem with the trucks." Perhaps the biggest white-knuckle experience was navigating Hoctor road, a 20-ft. wide road that had to accommodate Omega's 18-ft. wide trailer for 14 mi. "With only a foot on either side, it was a little hair-raising, but we had great drivers that made it look easy. They were locked in," said Tallent. "After that, we arrived at our delivery location at the Rock Creek substation and began unloading." Once the mammoth move was completed, it was back to regular work for Tallent and his crew. "Driving is considered the easy part of the job for our drivers," he said. "Omega Morgan's drivers are a part of the crew. We deliver and then can offload ourselves. We're turnkey. Our drivers are involved in the whole operation. The majority are mechanics as well." Omega Morgan isn't done with big moves, albeit not as heavy. Using the company's 360-ft. trailer, more than 30 transformer moves have been completed for BPA, with more to come. "This operation got a lot of attention because of its enormous size," said Tallent. "What we do is about as heavy as heavy transporting gets. Kenworth trucks are built for these applications, which is why we only run Kenworth trucks in our heavy duty fleet. Nothing can deliver like a Kenworth." Kenworth Truck Company is the manufacturer of The World's Best heavy and medium duty trucks. For more information, visit www.kenworth.com. Kenworth is a PACCAR company.